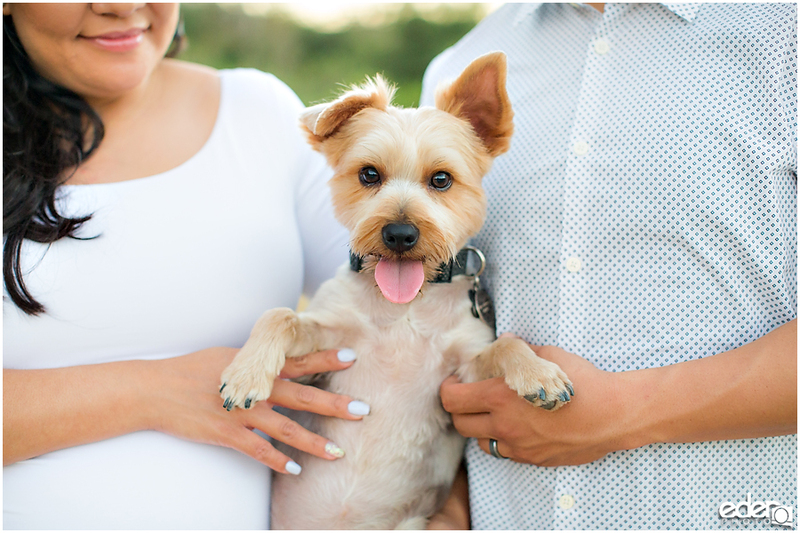 Julia and Carlos are starting a family and wanted me to capture some maternity photos for them to document this milestone. 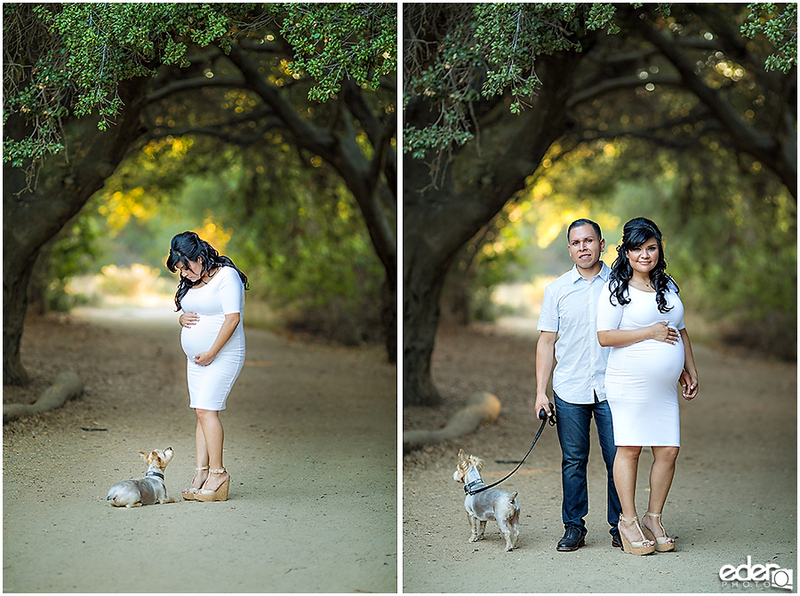 For their session, we decided to make it a rustic maternity photo session since Julia is a fan of nature. 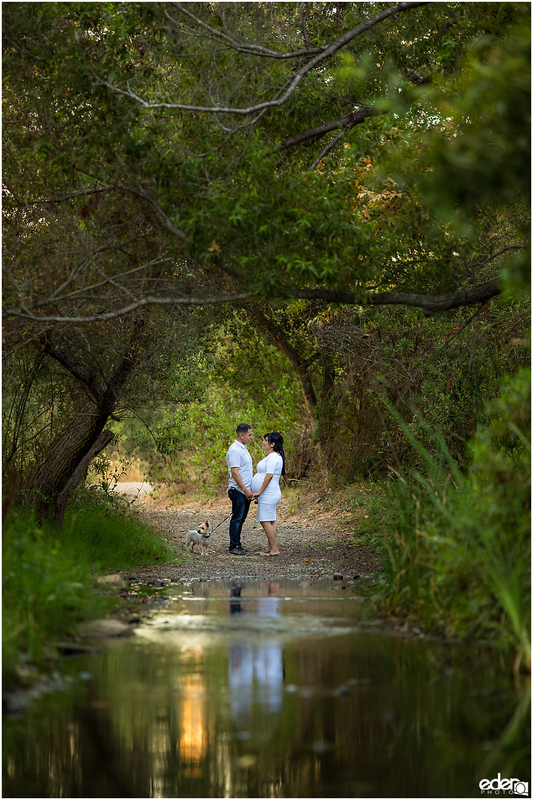 I suggested Los Peñasquitos Nature Preserve since it has some great backdrops without having to hike up or down too far. While I am a fan of hiking to far off locations to find some epic backgrounds for photos, doing so for maternity photos is not a splendid idea. 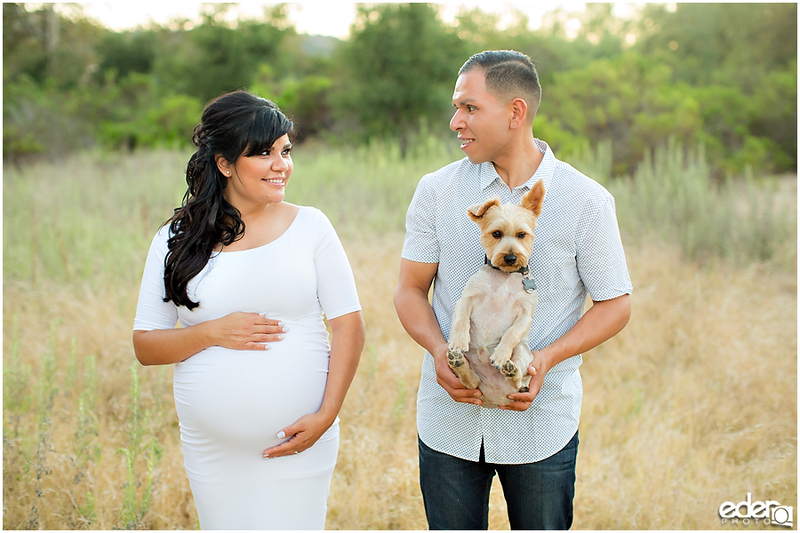 They brought their Yorkie along for the photos which was great because he loves running around and exploring. It’s also though why he was often caught in pictures listening to something in a distant bush. 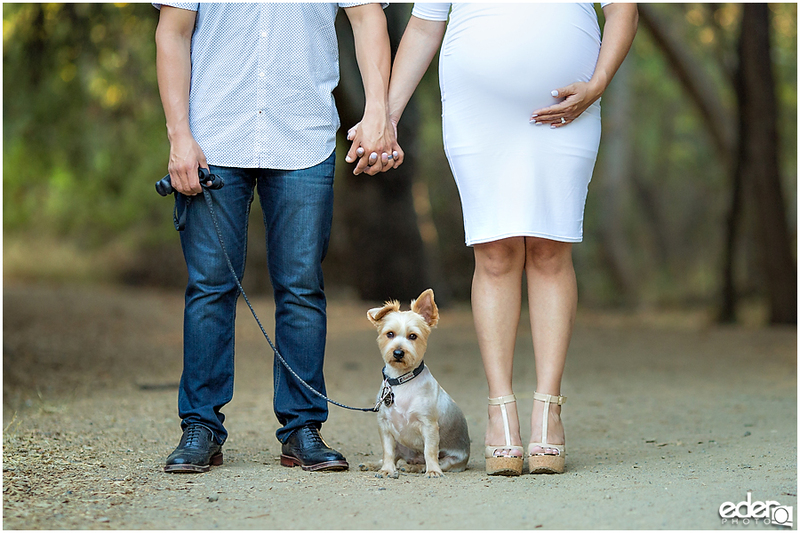 No matter the type of portrait session, my goal is to show connections. 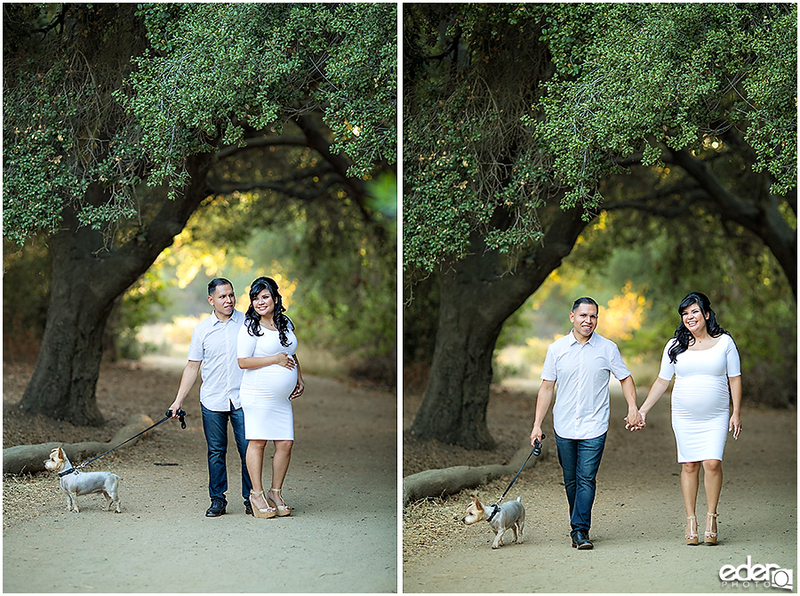 It wasn’t difficult with Julia and Carlos because they interact so well with each other in front of the camera. We got so many great moments and it was hard to select my favorites.